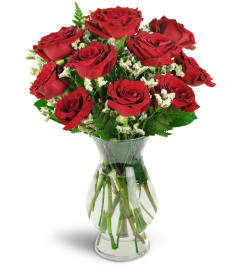 Celebrating a match made in heaven? 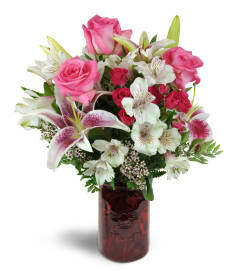 Send them to the stars with a stunning display of lush pink oriental lilies, pure white fragrant gladiolus, and more! 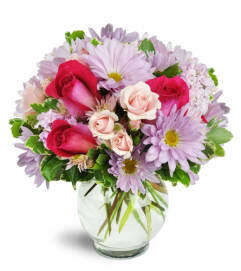 This tall, sleek arrangement will be perfect for her office or at home. 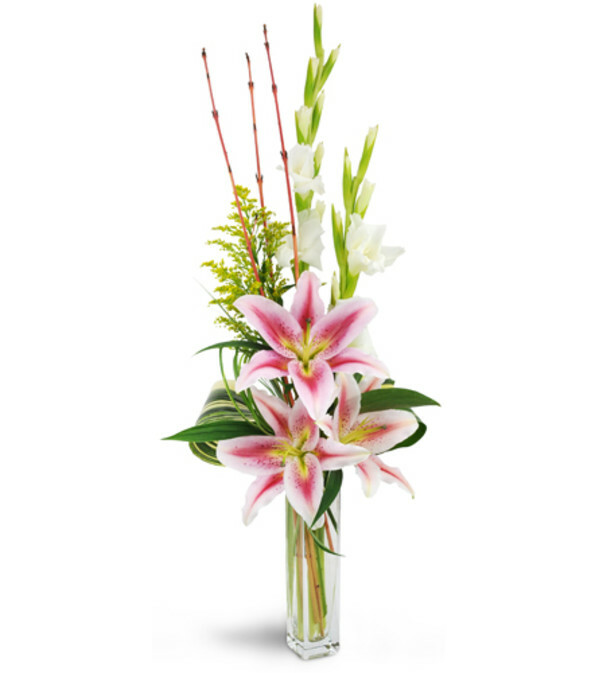 Oriental lilies, gladiolus, solidago, lush tropical leaves and more are artfully arranged in a modern square vase.